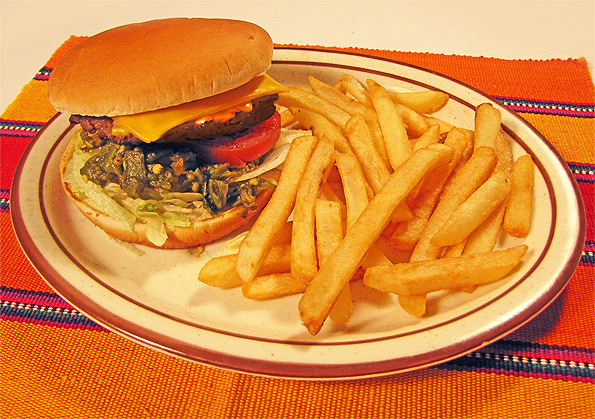 Pete’s good old fashion burger with cheese & fresh green chile. Suggested beverage is a 16oz. cold Bud or Bud Light.